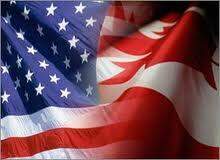 Canada & the USA has just been presented with an exceptional finance program for both consummers and businesses. The business program is still just available in Canada and the USA in the very near future! We owe a huge thank-you to Jerry Roy for his extensive efforts! Please do not email questions to the V-Team Audio Library... I'm only offering space on the site to help get this information out as quickly as posssible! This program will help explode business in the USA & Canada... this is a huge bonus for all of us and I think it offers a solid finance option to everyone. It's a very fair and solid program. After listening to the audios on this page go to the website link that pertains to country of your purchaser. It's wise to be very familiar with Jerry Roy's website and know how to locate all the forms that you will require. "I have worked in Canada with Jerry Roy for several months, as Wade Lightheart would say... he's AWESOME!" and how to use it most effectly! Please, if you are calling to just ask Jerry general questions he really does request that you have listened to the audios first... chances are your questions will be answered along with other important information saving both you and Jerry a lot of valuable time! Try to remember, Jerry is going to be overwhelmed with phone calls and emails, especially over the next few weeks as this program releases!